I really enjoyed Healer of Carthage, it helped fill the void of another time traveling, historical romance I enjoy. 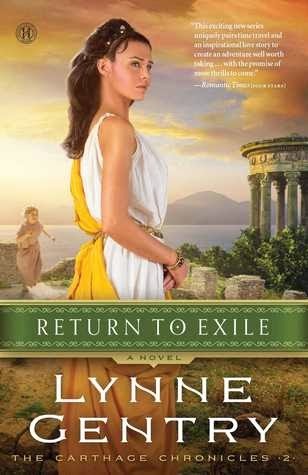 I was thrilled that I didn't have to wait too awfully long to read the second book in the series, Return to Exile...and goodness! I liked this book even more then the first! This story took me everywhere! The past, the present, Dallas, Texas, Tunisia, and Carthage. Then once the travel had ended, we weren't done yet. The twists and turns took this story even deeper into the characters lives...and wow! The twists that this book had. I couldn't believe where it went several times. I had to re-read a few parts to make sure through the surprise, I had read it right. This book takes place 5 years after the end of Healer of Carthage. Much has happened in Lisbeth's life since the end. 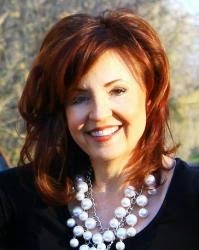 However, one thing that hasn't changed is Lisabeth's desire to help people and use her knowledge of healing. She has moved forward with her education and tries to use it as much as she can. Cyprian also has dealt with so much change since the end of the last book. The struggle has aged him a bit, but he tries to push forward despite the battles he wages inside of his mind and from others. Ruth, kind and gentle Ruth is still around and she hasn't been unphased by all of the events, time has made her a little older, as with everyone else, and tired. She has kept the hospital that Lisbeth has set up for the community and has watched over all the ones who have asked for help. Her character is very gentle, but smart. After this book, she reminds me a bit of Melanie Hamilton from Gone with the Wind. She is a quiet and kind character, who care for those around her, no matter what is going on. Those characters are a wonderful addition to a story. I can't wait for Valley of Decision, especially after reading the snip-it at the end of the book. So much to come!